See scan - perfect condition. This is a nice and rare early communist / socialist era Bulgarian pilot / aviation and Air Force Union member badge / pin. 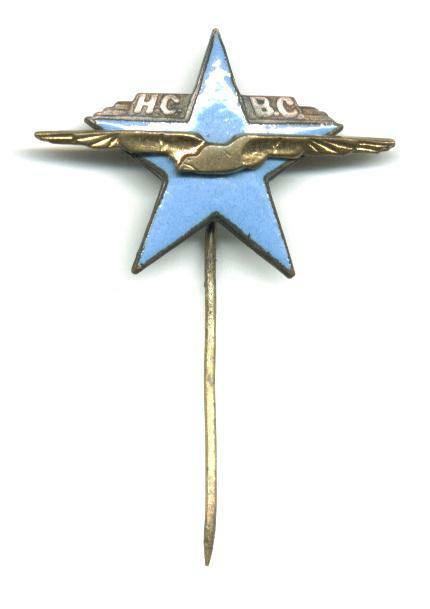 The badge shows a stylized eagle with open wings in the middle of a blue enameled star. Nice and rare militaria / military collector pieces and one of the rare Bulgarian badges / pins.